iOS 11.3 available now : New Features! The launch of iOS 11.3 has created a lot of buzz among the iPhone users. It is the major iPhone update introduced this Spring season with Easter celebration around. The new features are quite exciting, enhancing the overall performance of the iPhones. If you are an iPhone user with the version 6 and above, then it will be enthralling to have installed this new update in your phone. It is a free software update, highlights are – Animojis, better battery health, different chat options, health records, etc. Let’s have a look at some of the impressive features of iOS 11.3. Hieroglyph is the new feature added in iOS 11.3. Now you are free to make any type of funny faces at your iPhone; selecting any Animoji, mimic it and then send it off in your text message.With some of the most advanced technologies ever put into a smartphone, Apple has added new Animoji characters in iOS 11.3. These Animojis include a dragon, a bear, a skull and a lion, which you can use while texting your friends or you can use them in making karaoke videos. Apple has enhanced the battery life and reduced the battery charging time of iPhones with the launch of new iOS 11.3. 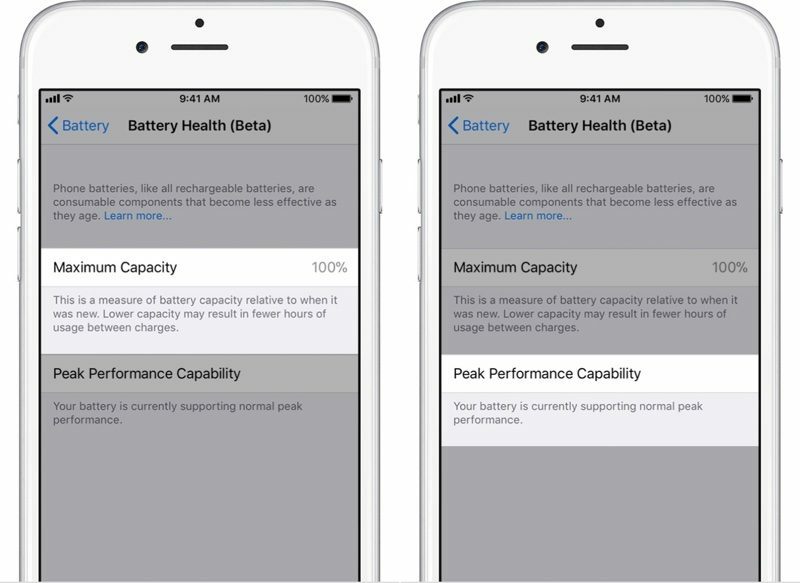 The battery health can be checked in the Battery section of the Settings. It allows the users to know about the maximum capacity of the battery. Moreover, it also tells whether or not it is operating at its peak capacity. On the devices operating at full battery capacity, the option for turning off the throttling feature is there. But, once you turn it off, you won’t be allowed to turn it on until your phone experience another shutdown due to battery performance. 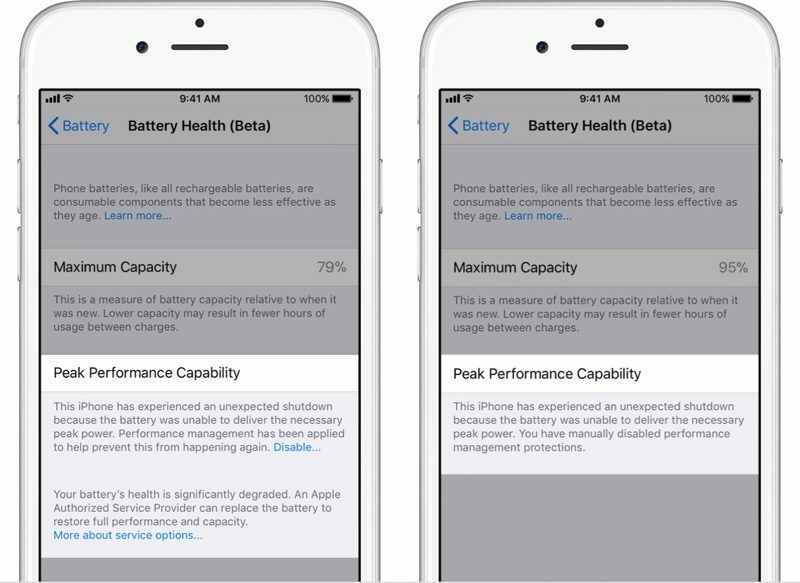 The throttling feature caused the iPhones with degraded batteries to run more slowly. Apple has added the much awaited feature of health records. With this feature, a person can add all his personal records in one easy to access spot given in the Health app. The Health Records can add and store data from the database of various participating institutions. The users are notified whenever the lab results and the prescriptions are available. The data stored in Health Records is encrypted and protected with password. 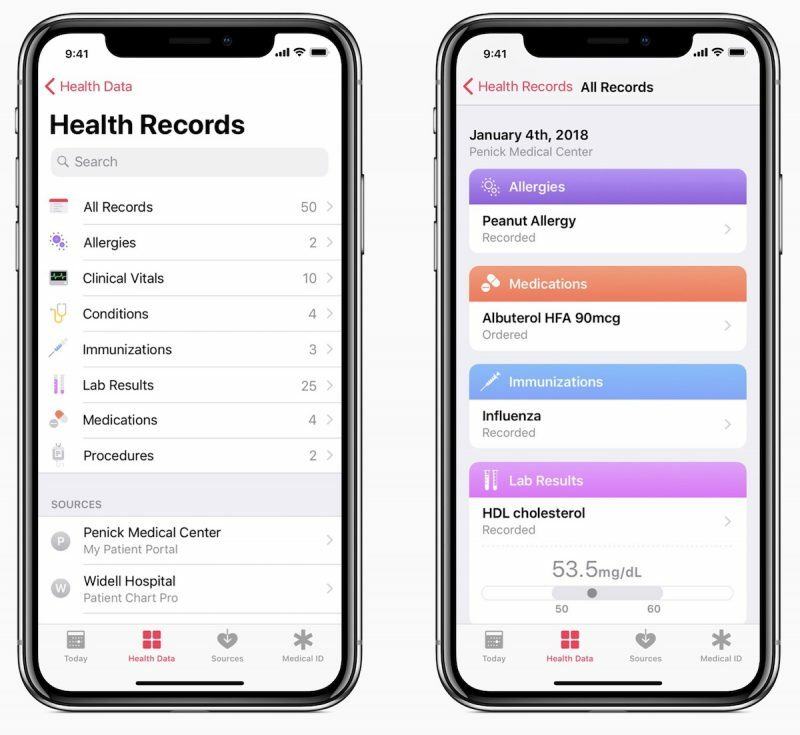 Apple predicts additional medical facilities will connect to Health Records in the future. A new messaging feature for iPhone users is launched in iOS 11.3 – Business Chat. Users can directly communicate with the businesses using Message app on iPhone and iPad. 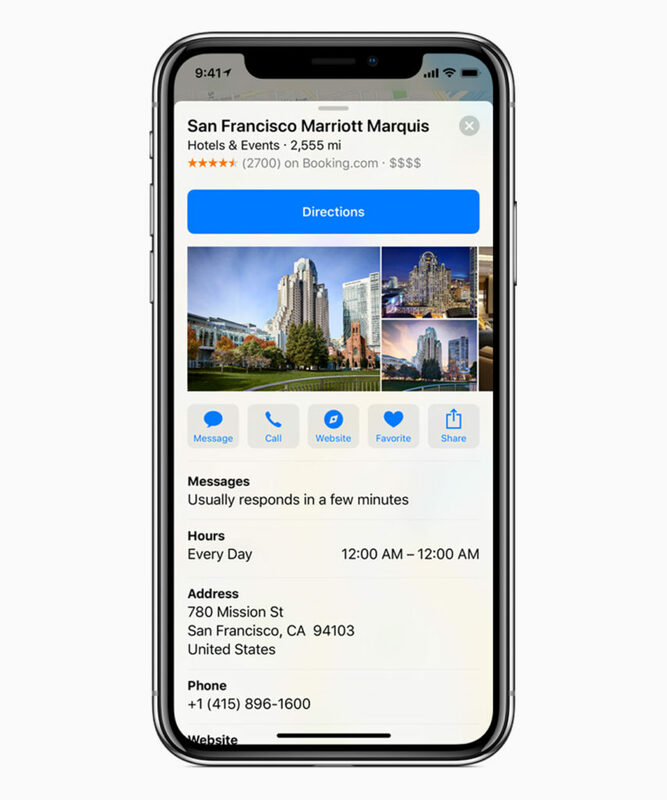 When users will search for any business in Maps, Safari, Siri or Search on iPhone or iPad, they will see the option of contacting business using the Messages, where users will be allowed to ask questions about a product or service. They can even make a purchase using Apple Pay. These features are also available on Apple Watch or Mac. Further, users will have control of sharing their information with a business on Business Chat. Apple has also worked on App Store “Updates” tab. 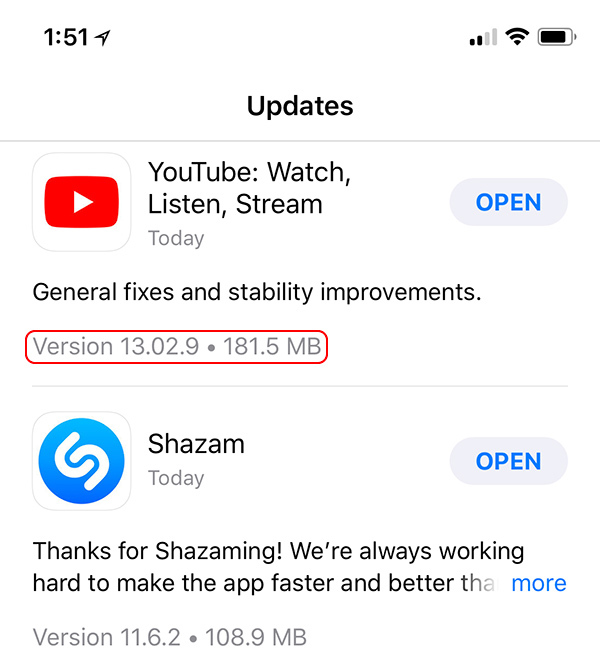 The version numbers and the file sizes of the updates are also included at the bottom, apart from including the notes of the developers, in the App Store “Updates” tab. This is beneficial as you can exactly tell which version it is and if you would like to install the update or not. While installing an app in the App Store, there is a small animation instructing the user to double press the side button for confirming the installation. This animation appears whenever the user is required to press the side button, such as confirming the payment using the Apple’s Payment. One of the most exciting features that came with the launch of iOS 11.3 is storage of Messages on iCloud. This is introduced in order to free up the device space, simultaneously keeping everything in sync between iOS and MacOS devices. Whenever you sign in, you will be able to see the whole Message history right away. 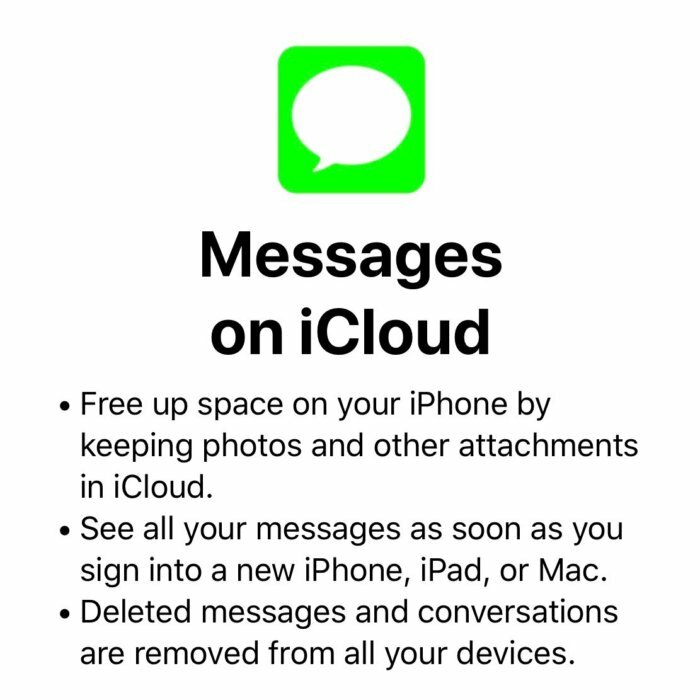 Also, if you delete any message on one device, it is gone from all the devices. Apple has provided the developers with “HomeKit” which will provide support to existing accessories. Apple will also support Advanced Mobile Location (AML), which will automatically turn on location services on and message your location to the emergency responders whenever the user calls emergency services. From now on whenever Apple will seek user’s personal information, a new icon will appear. These are efforts put by Apple in being more open about the type of data they collect. This seems to be an attempt in preventing the phishing attempts for the iCloud password. Moreover, the ‘Privacy’ icon in the Settings app has also changed from grey to blue. Apple has introduced ARKit 1.5 for the development of augmented reality apps. According to Apple, ARKit will be able to recognize and place object on vertical surfaces. It will also be able to map non-square surfaces like circular object. The option of auto focus is also workable with 50% higher resolution. 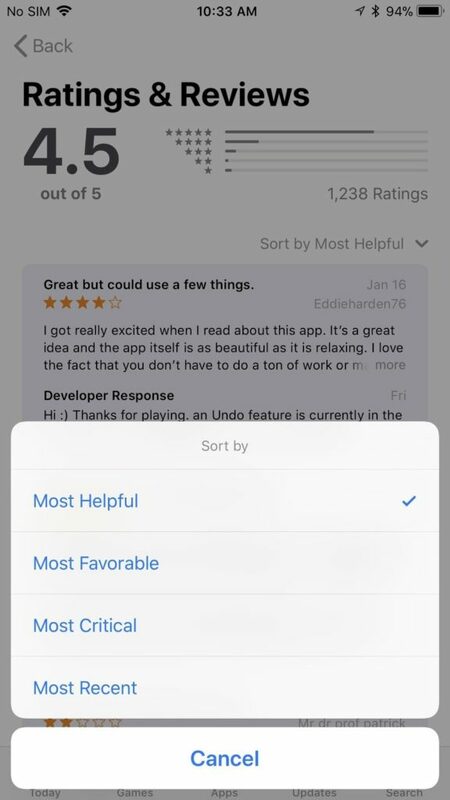 Apple has updated its review section in iOS 11.3, by providing different filters to be applied on the the reviews. The filters include – most helpful, most favourable, most critical and most recent. 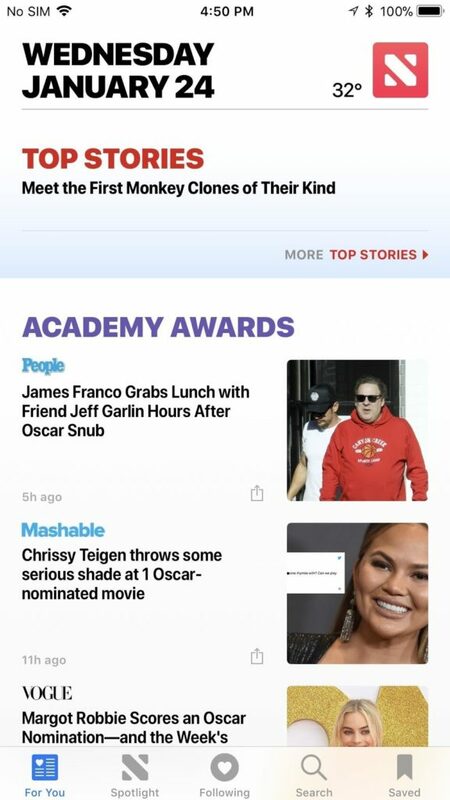 The “New Top Stories” in the Apple News is replaced with “For You” text, which allows everything to be seen together. In order to stay up to date on the most important videos of the day, a new group under the name “Video” is added in iOS 11.3. Apple has added music videos inside the Apple Music along with new video clips inside Apple News section. Users will be able to stream all the music videos with any advertisement. What do you like the most in iOS 11.3? If it is Animoji, then which one is your favourite?? How do you like the features so far? It’s been great to see lots off new features.